Pioneers in the industry, we offer network gateway-dgw-2032/4032 and pri gateway- r from India. 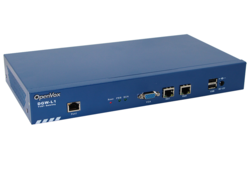 OpenVox T1/E1 Gateway is an open source asterisk-based VoIP Gateway solution for operators and call centers. It is a converged media gateway product. 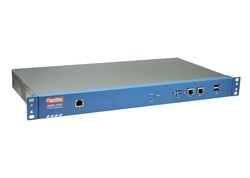 This kind of gateway connects traditional telephone system to IP networks and integrates VoIP PBX with the ISDN seamlessly. With user friendly GUI, customers may easily setup their customized Gateway. Also secondary development can be completed through AMI (Asterisk Management Interface). The DGW-100X(R) digital VoIP gateway supports 1/2/4 software-selectable T1/E1/PRI interface and supports up to 30/60/120 concurrent calls. The "R" means that the device supports redundant power supply.